What is your letter of this week? If it is I, you are in the right place. This letter I printable worksheet designed to practice both, uppercase and lowercase letters. Kids love stickers and dot activities. All you need is print two pages, cut out the stickers on the second page. 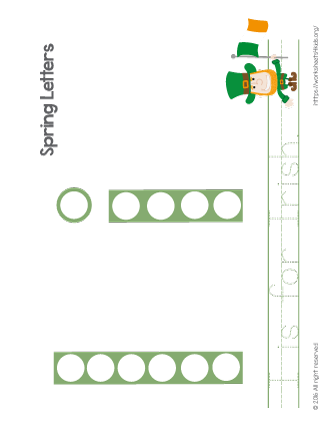 Let your child decorate the letters! Learn new spring word and practice writing skills!